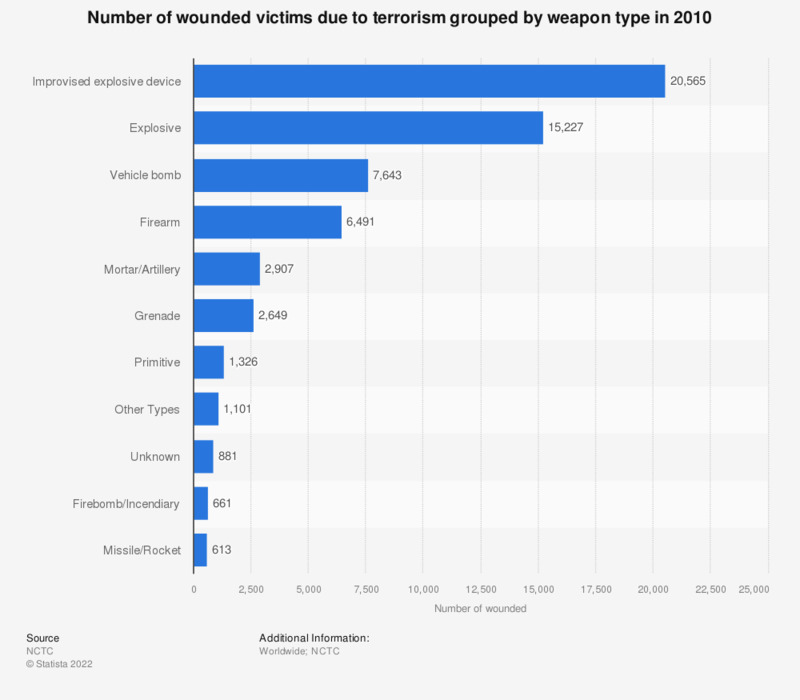 The statistic shows the number of wounded victims due to terrorism grouped by weapon type in 2010. 7.643 people were wounded by a vehicle bomb. Double counting occurs when multiple weapons are used.